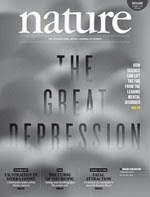 The latest issue of Nature is out, and if you turn to the "Futures" page, you'll find a story of mine called Möbius. You can also read it for free online, along with all the other science fiction stories in the Futures series. As a science enthusiast, I'm thrilled to have my work featured in one of the most respected science journals in the world. Getting into Nature's Futures has been a goal for a long time. Normally with these heads up posts, I like to write a little about the story behind the story. This time, however, I was invited to write a guest post about Möbius on the Futures blog, so if you'd like to learn a little about the inspiration behind my time travel tale, head over there and give it a read. In this post, I thought I'd give a glimpse into the actual writing process. I wrote Möbius last year at Odyssey Writing Workshop. This was a few weeks in, and I had a fair amount of lead time before I had to turn in a new story for critique. Unfortunately, the story I'd been working on wasn't going well. The whirlwind experience of Odyssey had wreaked havoc on my creative process (mostly in a good way), and the wheels just weren't turning smoothly. Burnout was setting in. Eventually, I threw my hands up and did something crazy. The night before my due date, I tossed the story I'd been toiling at all week and stayed up into the wee hours of the morning writing something entirely new (this would later come to be known as "pulling a J.W. Alden" by my Odyssey classmates). Möbius was the end result. I should also mention that this sale came with a lesson. I actually wrote Möbius with Nature in mind. But by the time I'd finished it, its word count had swelled to the point that it was too long for them. At first, rather than following my gut and trimming the story down, I stubbornly put off sending it to the market I'd written it for. After a couple of "close but no cigar" rejections, I finally put my ego aside and killed my darlings. I made the necessary cuts to get under Nature's word requirements. And what do you know? It sold. So follow your gut, writers. Even when it means making those tough cuts. There's nothing more satisfying than seeing a story end up in its intended home.